Florian Meindl returns to his imprint FLASH Recordings in LP format once again with 'Collide'. A collision of analog sounds and styles, Collide takes the listener on a dark techno journey including collaboration with studio wizard Jamie Anderson from the UK. 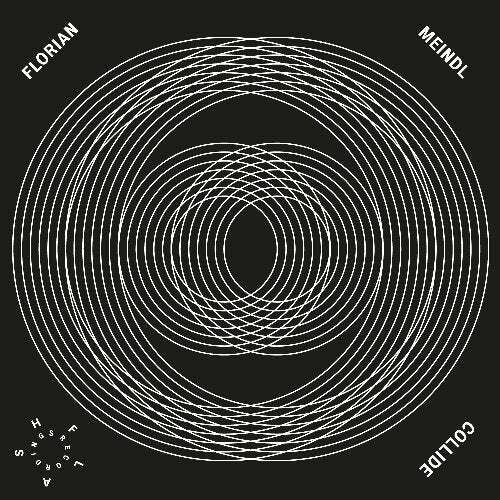 Released on Florian's established label FLASH Recordings, the LP follows in the musical footsteps of previous releases: deep techno embodying Florian's musical vision with minor chords meeting rough organic analog drums. Florian is an artist renowned for his technical prowess, and over the years has established an impressive producing base for himself in his room in Berlin based Riverside Studio complex. With an 'impressive' hardware set up including Modular Systems, an analog mixing desk as well as classic machines like the Roland 909. "I collect studio gear and records but I'm not an excessive collector. I use the things rather than to pile them, all the hardware in my studio is used regularly and if I don't need something anymore I sell it and invest the money in a new thing I want." The album has been clearly influenced by Florian's transition from producing almost entirely digitally for thirteen years to recording mainly analog jamming sessions and editing the end results after on the computer. The technical aspect is integral to Florian's musical journey that he takes the listener on. His talent lies in enabling the machines to speak and groove, to connect with them and create sounds and patterns. "I patched sounds from scratch with the modular system and shaped them in a very unique way so the workflow already gives me a more personal sound and possibility to shape it with my taste." After fourteen years of international performances and production, Florian has developed a special collection with his analog equipment, letting them speak for him in music where words just aren't possible.